According to the U.S. Department of Education, recent six-year college graduation rates indicate Black (35.2%), Hispanic (47.5%) and American Indian/Alaskan Native (38.9%) men graduate at lower rates than White men (59.6%), college achievement trends that have persisted for years. In February 2014, President Barack Obama, flanked by a sea of boys of color beaming with potential, launched My Brother’s Keeper, an initiative with the goal of helping close persistent achievement and opportunity gaps in the United States. In June 2014, seven educational research centers released a joint statement supportive of the initiative and the subsequent 90-day report released by the “My Brother’s Keeper” taskforce. The centers also released a response report titled “Advancing the Success of Boys and Men of Color: Recommendations for Federal Policy Makers,” which includes 15 data and research-driven federal policy recommendations. While scalable, data-driven recommendations are indeed necessary to support young men of color, last summer Dr. Marc Lamont Hill displayed the meaning of “my brother’s keeper” in a complementary way. Hill left Columbia University, an Ivy League institution, and returned to Morehouse College, an all-male historically Black institution in Atlanta, Georgia, where he left after his first year of college. Hill’s return to Morehouse reinforces the importance of men of color as mentors, role models, educators, and partners in helping boys and young men of color succeed. Highlighted within the “Advancing the Success of Boys and Men of Color” report is the need for increasing the pipeline of men of color to become teachers, counselors, and principals. In concert, Hill demonstrated that men of color can also have influence on boys and young men of color by considering and self-selecting to work and live within certain organizations and communities. As a nationally-known intellectual and sought-after speaker and news commentator, Hill’s presence at Morehouse is valuable to the Men of Morehouse, boys and young men of color across the Nation, and the greater historically Black college and university (HBCU) community. As Hill is in the midst of his second academic year at Morehouse College, it highlights the need for us—and hopefully others—to encourage other men of color to consider careers at minority-serving institutions (i.e., HBCUs, Hispanic serving-institutions, Tribal colleges and universities, Asian American and Native American Pacific Islander serving-institutions) and minority-serving organizations. Void of the My Brother’s Keeper initiative, HBCUs and Tribal colleges and universities have always included “keeping their brothers” as part of their missions. And, today, the missions of minority-serving institutions highlight the significance of Hill’s transition to Morehouse College. Hill reminds us—as men of color—not only is the My Brother’s Keeper Initiative important as the Nation seeks to improve the life experiences of boys and men of color, but we have individual and collective roles to our Brothers as well. Donald Mitchell, Jr., Ph.D., is assistant professor and program coordinator of the M.Ed. in Higher Education program at Grand Valley State University. His research and scholarship focuses on issues of diversity, equity, and inclusion in higher education contexts. 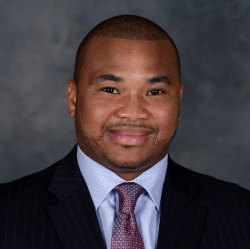 Follow Donald Mitchell Jr. on Twitter: @drdonmitchelljr Adriel A Hilton, Ph.D., is assistant professor and director of the Higher Education Student Affairs program at Western Carolina University. 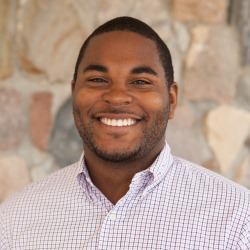 His research and scholarship focuses on minoritized students’ access and matriculation in postsecondary contexts. Semantic Tags: Adriel A. Hilton • Donald Mitchell Jr.